Artifacts Gallery owner Thad Markham was awarded the Presidents Award from Greenwich Workshop, the nation's largest fine art publisher, for being in the top 5% of sales nationwide. The Presidents Award, one of the industry's top honors, was presented to Thad by astronaut Alan Bean. Thad Markham was featured on The Good Life, a radio show hosted by financial advisor David Cryden, in a program discussing fine art investment. Other guests on this show have been notables such as Mimi Weisband, Vice President of Crystal Cruises; Victor Luis, President and CEO of the legendary Baccarat Inc.; Bruce Wallin, Executive Managing Editor of The Robb Report; and Tom DuPont, publisher of the DuPont Registry. Click here to hear streaming audio of Thads appearance. Frogman, the Art of Tim Cotterill, a large-format coffee table book sold in galleries across the country and in Europe, features an introduction written by Thad Markham. Frogman Publishing invited Thad to share his perspective as a gallery owner whos shared in the meteoric rise of one of the best-selling sculptors in the world. Thad Markham consults with publishers and galleries nationwide on the business of marketing art. The gallery also operates an art publishing house called Zona Publishing, creating and marketing fine art reproductions by acclaimed Lithuanian painter Arunas Zilys. Thank you for browsing our online gallery. We work hard to keep our site up-to-date so you can find the latest work by your favorite artists. But we are much more than a virtual storefront—Artifacts Gallery is a large, established fine art gallery owned by Thad Markham, in business at this same address for over twenty-five years. 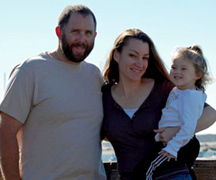 We are located in the historic coastal community of Cambria, California, midway between Los Angeles and San Francisco. This small village (population 6,500) on the unspoiled Central Coast is nestled in the Monterey Pine forest along spectacular Highway 1. Hearst Castle is our neighbor, just five miles away. Cambria hosts many events and festivals throughout the year, with special focus on the arts. Artifacts Gallery is an authorized dealer for every major art publisher in the country. Our size, experience and trade relationships give us the leverage to obtain almost any piece you may be seeking—even rare and sold-out works. We are celebrating our 25th Anniversary in this space. Flashback to 1993. Thad had graduated from the University of California at Santa Barbara and was living in Newport Beach. His corporate job was secure, his life seemed well-ordered and safe…until an awful tragedy touched his life. His very close friend, only twenty-five years old, was killed by a random act of violence in San Francisco. Thad was devastated. Suddenly that comfortable feeling of security vanished, leaving in its place the urgent determination to live his dreams now—immediately—before time robbed him of the choice. The friendly little community of Cambria was his next stop. In June 1993, Artifacts Gallery and Gifts opened its doors. Our humble beginning consisted of a small storefront space, equipped with a kitchen table and a modest selection of framed posters, gifts, and home decor. It’s a good thing he didn’t know enough to be scared! Right from the beginning, Thad discovered that owning a gallery brought with it a gift that he never imagined—meeting so many incredible people. The greatest people in the world were walking through the doors every day, bringing so much richness into his life. It made all the long hours and hard work worthwhile. In 1995 we doubled our space, expanding into the shop next door, adding limited edition fine art reproductions. Like anyone else, we’ve had our share of ‘challenging’ moments…like the Cambria flood of ’95 that happened one day after we installed new carpeting! That was also Shelley’s first day at work, which she spent up to her knees in mud. She’s now our gallery manager. Another big step forward was the addition of our framing studio in 1995 to provide custom framing for our customers. We now have two very talented designers/framers in a fully equipped shop with hundreds of frame corners, mats and liners to choose from to enhance your artwork. They also create custom mat cut-outs and painted mat designs for that uniquely personalized look. In 1999 we added the upstairs gallery space to bring the total square footage under our roof to over 5,500 square feet. Bronze sculpture, original oils, fine art reproductions, art glass, home décor—in styles to suit every taste—Artifacts is a destination gallery in a world-class setting! But there is one thing you won’t find here, and that’s attitude. We’re serious about art, but that doesn’t mean art is always a serious business! Our gallery is a welcoming space with art consultants who treat everyone like a new friend. Our well-informed, friendly staff has one mission: to help you find the art you love that will make your home a beautiful expression of your personality. We take your trust in us very seriously. You won’t find inflated prices on art on our walls. We post the lowest prices that our artists and publishers allow. A loyal repeat clientele is the best recommendation, and Artifacts has a huge ‘extended family’ of these. Customers tell us they feel very much at home here. Thanks again for stopping in. It was great visiting with you. Please don’t hesitate to give us a call anytime to say hello and tell us what kind of art you’re enthusiastic about. Come visit us in Cambria some time. We’d love to meet you and show you around our gallery. You can’t miss the place—we’re the two-story building with the 12-foot-tall bronze frog sculpture by Tim Cotterill out front! 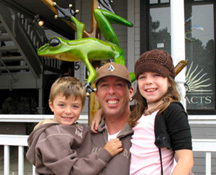 Owner Thad Markham lives in Cambria with his two children Nate and Zoe. Shelley -- Our general manager, Shelley, is the brain trust of Artifacts. She's been with us since the beginning and knows every facet of the business. Just try and challenge her with an impossible request--magical feats are part of her everyday routine. 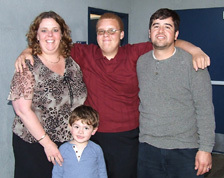 Shelley and her husband Israel devote themselves to their two sons, Jordan and Carson. Jordan is on the high school football, tennis, and basketball teams, and plays violin and trumpet. Carson has just entered kindergarten and is currently in a phase where hiding and racing everybody at everything are his favorite pastimes. Nicky -- Nicky is assistant manager at Artifacts. She's been lending her considerable talents to our team for eleven years. Nicky handles merchandizing, display and keeps our extensive website up to date. She's also a talented framer. In her off time she and husband Toby are busy raising their first child, the incredibly cute Jessica. 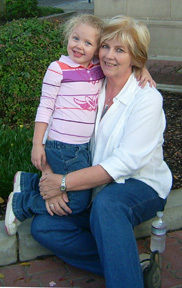 Nicky enjoys reading, woodworking and remodeling her home in Atascadero. Gina - Gina is our sales manager. She's a storehouse of knowledge about the artists and their publishing histories. 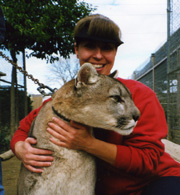 Gina volunteers with a local wildlife organization called "Zoo To You" that brings rescued animal-ambassadors to visit classrooms, fairs and media outlets, fostering increased understanding and appreciation for all animals. Bonnie - Bonnie is everyone's favorite art consultant. You will be forgiven for wanting to bring Bonnie home along with your new art purchase-she embodies the friendly, personal approach that Artifacts prides itself on. 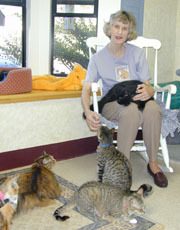 Bonnie volunteers for the Homeless Animal Rescue Team, trapping feral kittens and cats and making sure they're neutered and doctored before being re-released. Bonnie would rather be in her garden than anywhere else. Claudia -- Art consultant Claudia is a California girl who earned a fine art degree from Northeastern State University in Oklahoma. Like many folks who work in galleries, Claudia is an artist, too-she creates landscapes and portraits in pastels and oils. Claudia is the talented eye behind the ever-changing display of art on our gallery walls. She loves walking on the beach with her Yorkie, Dorian, and is currently working on writing and illustrating a book of her poetry. Jeremy -- Artifacts Gallery's head framer came to us from Virginia Beach, Virginia. 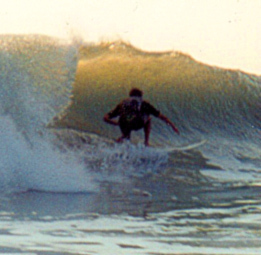 He attended Old Dominion University, worked in construction and owned his own custom frame shop. As an avid surfer, skateboarder and hiker, this outdoor guy has fallen in love with our beautiful Central Coast and is enjoying exploring the region with his wife, Angela, and Labrador mix, Sophie.